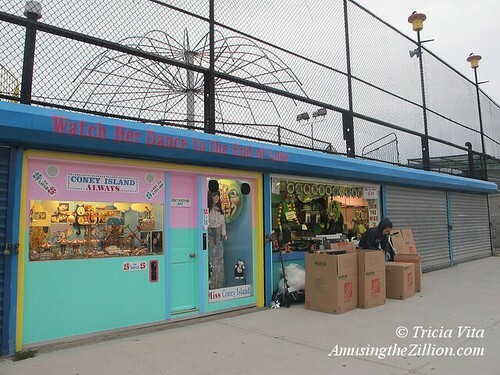 Steeplechase, the Coney Island “coney” rescued after 21 days on the run, posed for her first official photo today. Want to “Save Coney” and give Steeplechase the bunny a home? 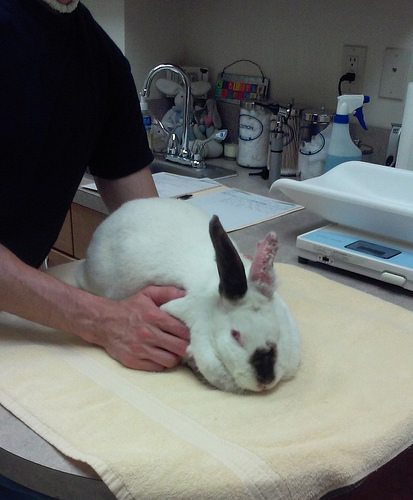 This refugee from the bulldozed Coney Island Community Garden will be up for adoption after she is spayed next week. 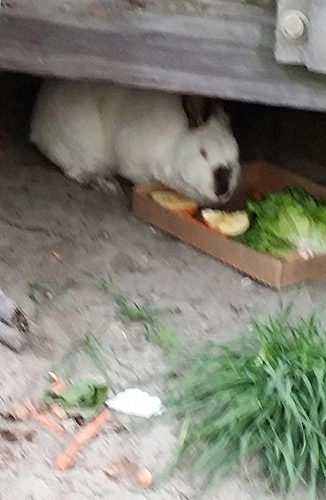 William Leung, a volunteer with Rabbit Rescue and Rehab successfully “netted” the rabbit, whom he named Steeplechase, on January 18th after ten days of trying to befriend her with bananas and other treats. 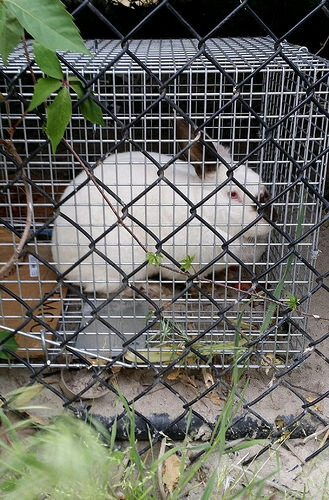 “She is scheduled to be spayed next Wednesday,” said Leung, who visited the shy bunny today at New York City’s Animal Care and Control. Rabbit Rescue and Rehab, the New York City chapter of the House Rabbit Society, is the primary bunny rescue group that works with ACC. 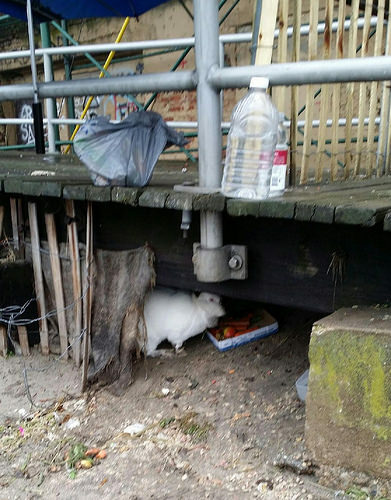 “Our volunteers go there every day to feed the rabbits,” Leung said. 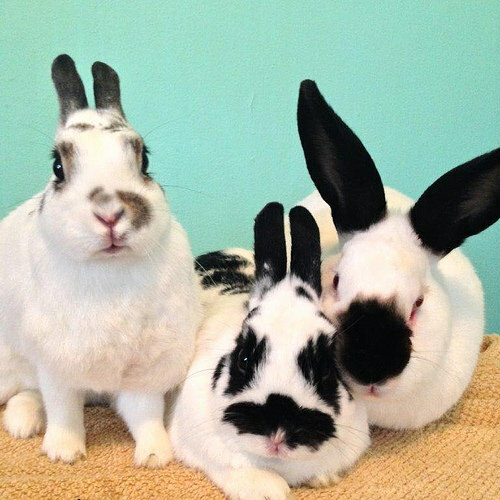 A list of bunnies up for adoption in New York City is on the group’s petfinder page. 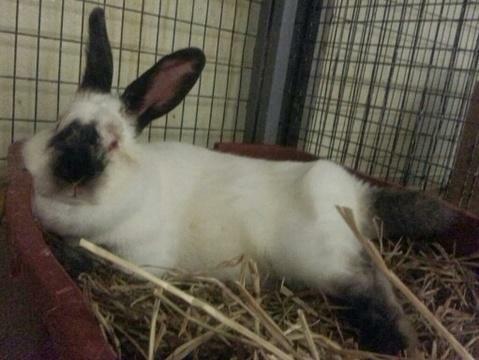 Email nyc.metro.rabbits@gmail.com if you are interested in adopting Steeplechase.